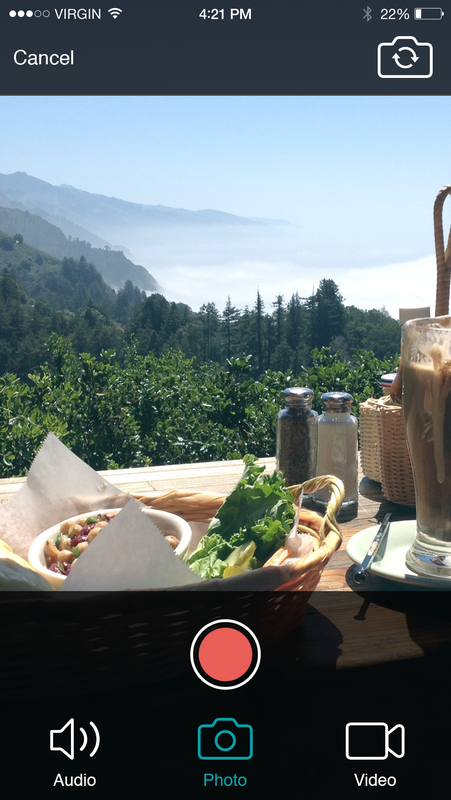 LifeTales is an app that allows families and friends to share and preserve their fondest memories. The app lies somewhere between Storycorps and Facebook. I designed the UX, created visual mock ups, suggested functionality and oversaw 3rd party designers. Since I was one of the only members of the team with Mobile Application experience it was my job to communicate and educate the rest of the team on platform guidelines for both iOS and Android. 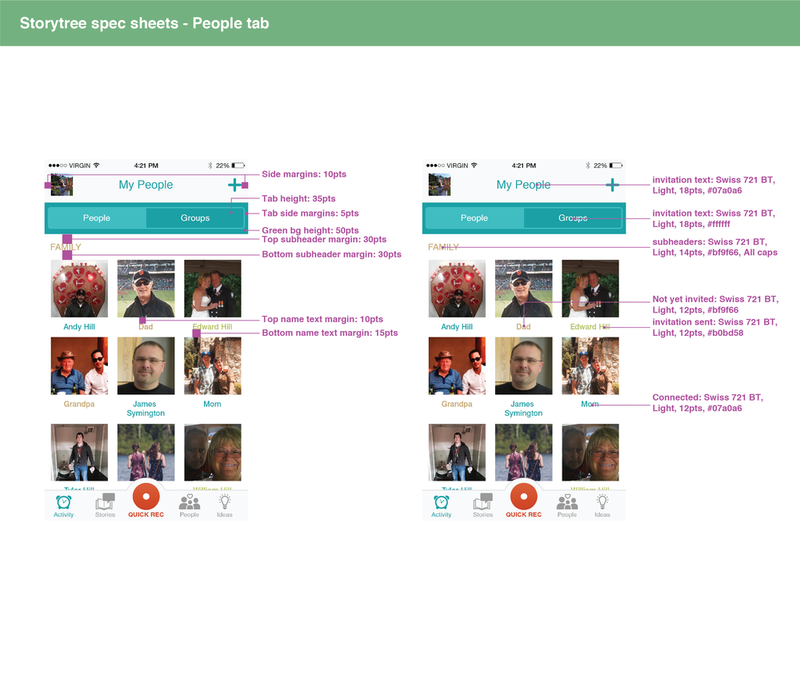 One of the most difficult challenges with designing the app was that the target demo was older and we were often surprised of the results when testing with our target audience. My motto is always do one thing well before you try and add additional functionality but it was extra important in this particular case. Since our users would usually older we focused on getting them to create a story as quickly as possible. That meant large buttons that took them to the camera or audio recording screen in as few click as possible. I also advocated that most secondary screens stick to one primary use-case. Showing large pictures of the user's friend and family was also important to me. People were being asked to tell intimate details about their lives. I think we can all admit how hard and awkward that can be sometimes. We decided to show pictures of the people that were in the story during record mode for this reason. 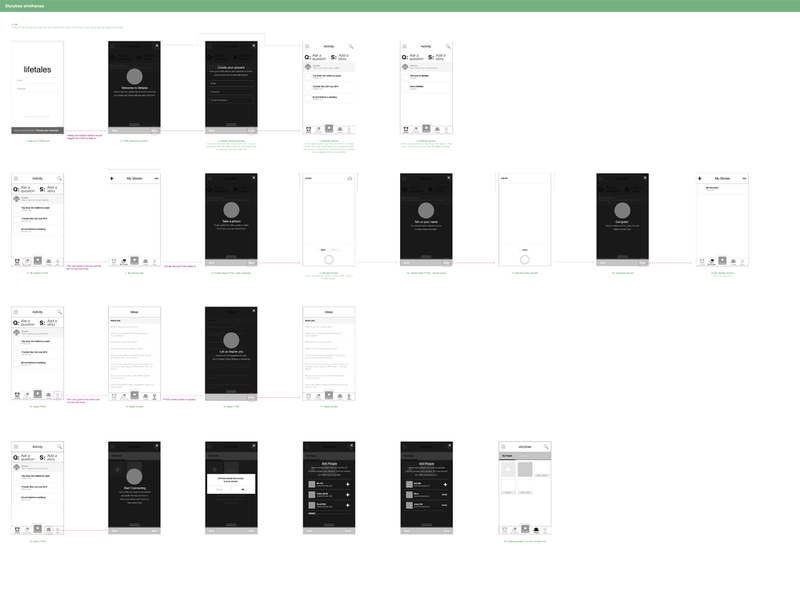 Some of the numerous UX explorations and flows I did for LifeTales. Since I was working remotely from the team I had to be diligent in my documentation. It was a good reminder to be detailed when explaining your work/logic and also to take notes while you work. 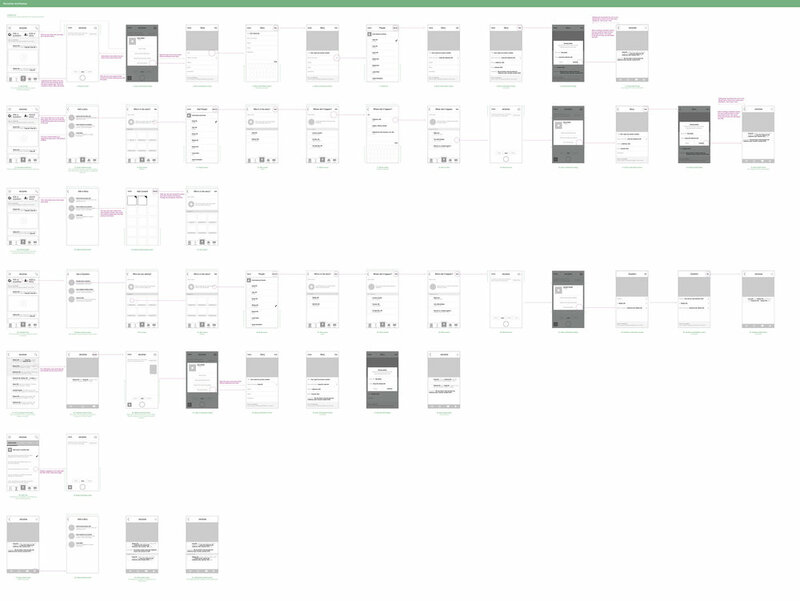 The wireframes above above are some of the main flows; the various create flows, invite and the FTUE logic/flows. These are nowhere close to final and we iterated on them constantly. There was a point with the FTUE where I took a step back and realized that if we're having to explain so much to the user they probably won't get it. Remember the target demo was between the age of 45-65. From then on I became an advocate of simplicity. Documentation is important when working with engineers but its also important to be able to work things out together. Working remotely makes that difficult. My spec sheets needed to be very detailed since the engineers were in Toronto and I was in SF. To make matters worse some of the engineers were very new to mobile development. Above are some of the numerous spec sheets I did for the project. I also did frequent calls to go over spec sheets and UI implementation.